When it comes to home appliances, such as the washer and dryer, the number of choices available may be overwhelming. In many homes today, you will likely see washing machines and dryers as separate units, taking up a significant amount of space. For those with apartments or studios, space may be incredibly limited, therefore, having a combination of the two may be best in order to utilize the space as much as possible. For a large number of homes, the washer and dryer combo is becoming increasingly popular, especially for those that only have a small space available. The combo allows you to wash and dry your clothes through the use of a single machine. Utilizing one machine to wash and dry your clothes saves a significant amount of time as you do not have to transfer the wet clothes to an entirely different machine. With minimal effort, all you need to do is place your dirty laundry into the machine and start the wash cycle. 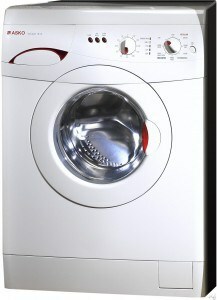 For many machine combos, the machine will automatically switch to the drying cycle once the washing cycle is complete. Overall, washer and dryer combos are quite popular in Europe as well as the Far East as space is generally limited, therefore, a large majority of homes there are apartment-sized. Fortunately, they are perfectly designed to fit into these compact spaces. In fact, some of the combo units are built to be portable. Although many believe that combining the washer and dryer is more fragile than having separate units, the exact opposite is true. Although there are some great advantages to having a machine combo unit, there are a few disadvantages to consider before your final purchase. In many cases, combination units are usually more expensive than having separate machines. It may take minimal effort to operate the combo edition; however, the drying cycle usually takes a bit longer to dry clothes than it would with a separate drying unit. In addition, the drying cycle is not often vented properly; however, you may likely be able to purchase a vented model. Without a vented model, you will need to be sure to empty the receptacle of the condensed water on a regular basis if you choose to go with the combination unit. The standard washer and dryer combo models are usually available in 24” or 27”, giving you the ability to load anywhere from 11 to 22 pounds of laundry at a time. Despite the few disadvantages that you may experience with the combination units, there seems to be many more advantages to having one, rather than purchasing separate machines. In conclusion, if you find yourself limited by the space in your home and have a means of venting the dryer to the outdoors, the washer and dryer combo is ideal. As today’s properties seem to reducing in size, one of the best ways to utilize space is to limit the size of the home appliances. This includes limiting the size of your washer and dryer. If you’re experiencing an issue with your washer-dryer combo set, contact C&W Appliance Service and schedule a technician to come out to your house to perform washing machine repair.